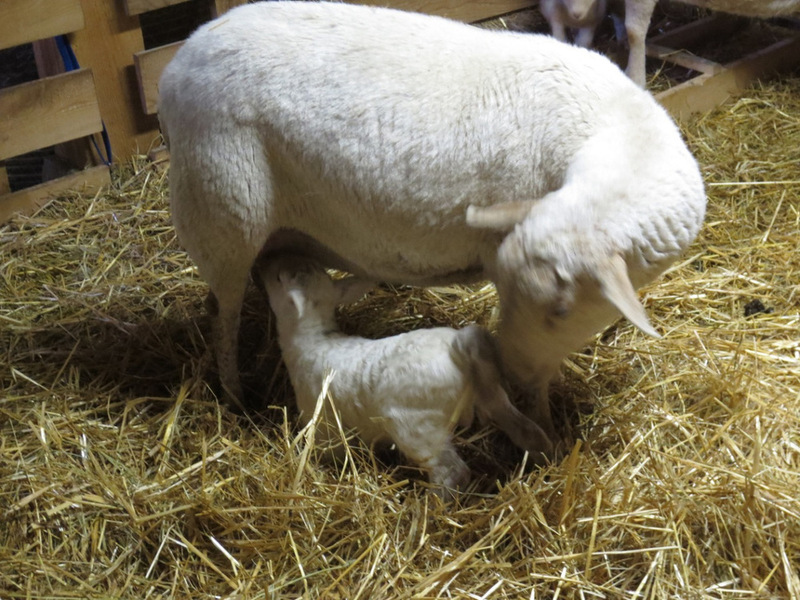 Yesterday Mab finally had her lamb. In spite of her girth, a single ram, a 10#at that. She is such an excellant mother I was hoping for a ewe lamb but her ramling is strong and healthy. Mother sheep nuzzle lambs behinds to encourage new lambs to nurse.